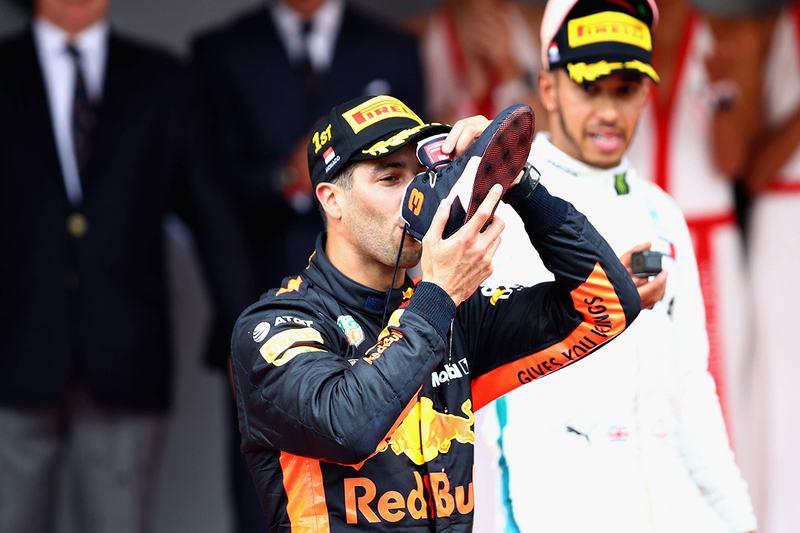 One of Red Bull Formula 1 driver Daniel Ricciardo’s boots from the Russian Grand Prix has been added to the Super Drought Relief Auction. It joins an exclusive array of lots donated by the Supercars community for the initiative to help Australia’s drought-hit farmers. 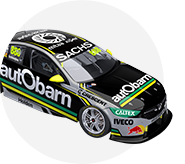 Bidding closes this Friday evening, including a live auction at Mount Panorama during the Supercheap Auto Bathurst 1000 weekend, with the collective tally up to nearly $125,000. A two-time grand prix winner this year, Ricciardo finished sixth at Sochi last weekend. The West Australian, who has taken ‘shoey’ celebrations to F1 podiums, leaves Red Bull at the end of 2018 to join Renault. Lloyds Auctions is running the online auction, with proceeds going to Burrumbuttock Hay Runners, which supplies and transports hay and essential living items to farmers. A brand new Ford Ranger XLT 4x4 Dual Cab leads the way on the current bids at $43,750 at the time of publishing. 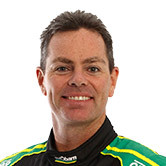 Craig Lowndes' racesuit, gloves and boots from this weekend's Great Race – his last as a full-time Supercars driver – is second on $11,000. The once-in-a-lifetime opportunity to wave the green flag at Bathurst on Sunday morning is currently at $3,402, and a lap of Mount Panorama in a Peter Brock 'Big Banger' Commodore is at $3,100. Other items include Virgin Australia business class flights to Los Angeles or Hong Kong, an exclusive Triple Eight experience at Newcastle and an Adelaide 2019 hotlap in Ford's new Mustang Supercar. Lots from Russell Ingall, DJR Team Penske, Walkinshaw Andretti United, Mark Skaife and Nissan Motorsport, and other Supercars experiences, also feature. The Supercars Drought Relief is being run by Lloyds Auctions as a Simulcast auction, whereby online bidders will compete against audience members in front of a live auctioneer as the hammer drops on each item. Online bidders can watch the auction live-stream on lloydsauctions.com.au as the auctioneer accepts bidding from both the floor and online participants at home.